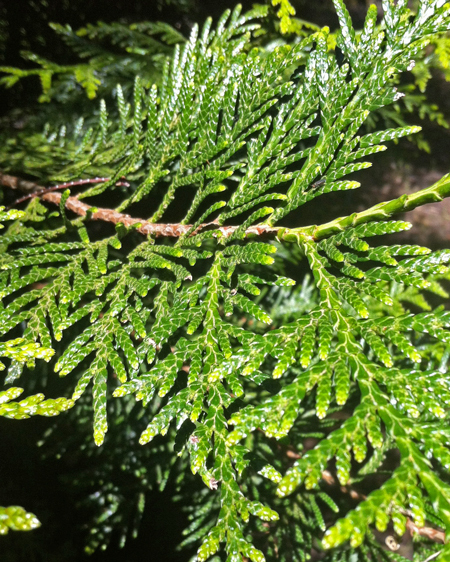 Virescens is a fast growing cultivar of the Western Red Cedar with a densley pyramidal, or conical shape and dark green foliage well suited to hedging or screening use. 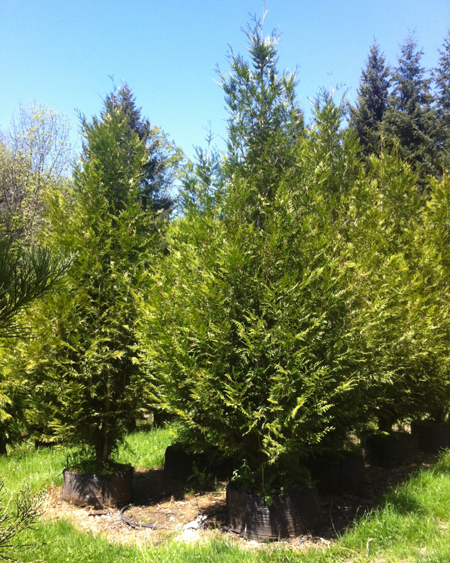 Growing 15 -18 ft high, it has a wonderful texture and color in a mixed conifer planting or as a specimen. This is a very usable and lovely conifer. It is dense (more open when young), but not tight or constricted. Virescens maintains its good form without pruning or special attention. We like this and Watnong Green, and have a hard time telling them apart! Both have dark green, graceful foliage.